Sterling silver and Turquoise earrings. 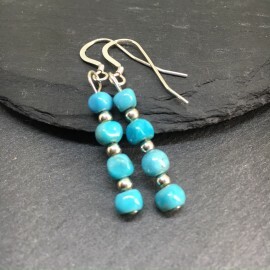 Approx drop length (including earwires) 4.5cms. Supplied in a white organza bag.